Asian soccer powerhouse Japan thrashed Thailand 4-0 on Tuesday to get their third successive victory in the AFC World Cup qualifiers. They are now set to top Group B with the result. Former Manchester United star Shinji Kagawa scored the first goal in the first ten minutes before his namesake Shinji Okazaki doubled the tally in the 19th minute. After the break, Yuya Kubo made the scorers’ list with his effort in the 57th minute. Maya Yoshida made it four in the 83rd minute. Japan have earned 16 points, three points more than Saudi Arabia who follow closely. Saudi Arabia are meeting Iraq on Tuesday. Australia are in third place after defeating United Arab Emirates 2-0. Thai manager KiatisukSenamuangdecided to play the centre back TanaboonKesaratin defensive midfield but it did nothing to limit the onslaught of the Japanese. he made several changes to the team that started the match. KoravitNamwiset, PeerapatNotchaiya, AdisakKraisorn and WattanaPlaynumwere drafted in the War Elephant’s lineupbut the 2002 World Cup host had a potent attacking side that prevailed. Japanese football witnessed yet another record, as Kazuyoshi Miura became the first player over 50 years to get a score in the country’s football league. The player scored for Yokohama FC in the game against Thespa Kasatsu. Miura’s goal made all the difference, earning the team maximum points in the Division 2 clash. The former Japan international said he had “the vibes of a goal” and that he was just trying to stay positive before he netted. The player broke his previous record as the oldest goalscorer in J-league history as he held the record at 49 years, three months and 24 days. He has now set the new record at 50 years and 14 days. He renewed his deal with the club in January, amidst strong speculations that he could retire. He has an amazing record, netting 55 times in 89 games for Japan. Miura started his professional football career in South America, playing for popular Brazilian club Santos. He played there in the late 1980s before moving to Italy to feature for Genoa and Dinamo Zagreb in the 1990s. 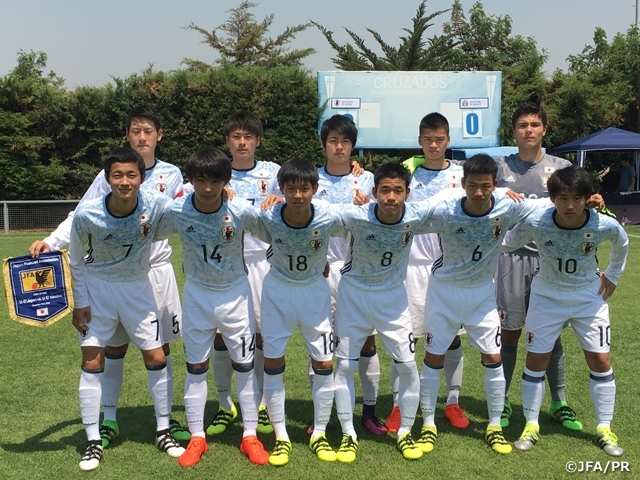 Japan National U-16 Team, so-called “00 Japan”, started their COPA UC 2016 campaign on Wednesday 14 by drawing to U-17 UNIVERSIDAD CATOLICA. The opponents are one of the best clubs in Chile, winning countless domestic youth championships. According to the tournament regulations, the U-17 players of the club are participating this time. The match was held right after the tournament’s opening ceremony. In the great environment with almost 800 fans in attendance including a large group of Japanese supporters, the U-16 Japan squad kicked off their first match. For ’00 Japan’, it was the first official international match since they lost to Iraq in the semi-final of the AFC U-16 Championship India 2016. Despite the fatigue from a long trip from home, the squad, especially their frontline, displayed some impressive football. The opponents composedly moved the ball around and showed their toughness and physicality time to time to dodge Japan’s pressure and prevented the Japanese side from creating chances. As they gradually started to control the match, a passing mistake by Japan in the 13th minute led to a threatening pass into the space behind their defenders. Vahid Halilhodzic says he would like to see the ‘goals-conceded’ tally of his team to remain nil in the Syria match as well which would mark the end of round no. 1 of AFC qualification for the Samurai Blue. Japan’s net is yet to be shaken by an opposition team so far in world Cup qualification matches which is an incredible record. No team in any AFC group has had so many clean slates in a row. And, it’s not that they have achieved the record through a defensive play. Their ‘goals-scored’ tally is over twenty which means they have scored in abundance and not to forget that the first match they had played was a scoreless draw. So, all these goals have come in 6 matches only. To score at a rate of more than 3 goals per match is only possible if a team is pushing on the attack and Japan has surely done that. In fact, in the latest fixture versus Afghanistan, they were even more fearless with every defender looking to move forward and still, it was a clean slate. American football gets a Japanese coach who will be part of the off-season program of the Indianapolis Colts. This team has been undergoing change in its coaching staff. The changes are taking place in the off-season. The new coaches are working at the OTAs to help the team improve as the new season comes up. Mutsumi Takahashi is a Japanese coach who has come in to learn more from American football and help out the team as well. Takahasi initially played as a linebacker. He is one of the few players who are born in Japan and had participated in Arena Football League. He played here for five years. He also participated in highest levels back in Japan. He now takes the role of coach for Kobe University Ravens, who are based in Japan. Japanese International and Vancouver Whitecaps striker Masato Kudo will be sidelined indefinitely after suffering a fractured jaw that will require surgery in a collision during a match, the Major League Soccer squad announced Thursday. The talented forward, who celebrated his 26th birthday just last Friday, was injured in the 11th minute of Wednesday’s 2-1 triumph over Chicago at BC Place. Kudo was making a run toward the goal when Fire goalkeeper Matt Lampson rushed out to grab the ball and slammed into Kudo, who had blood coming out of his mouth after biting his lip and tongue on the play. He lay on the turf for several minutes being treated with players from both teams watching before being taken off on a cart and sent to Vancouver General Hospital. “Apologies, well wishes and a speedy recovery to @masatokudo9. 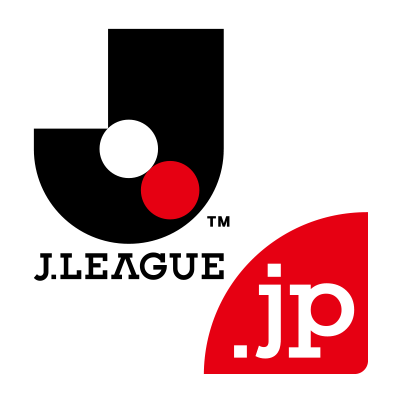 The J League with its mission to increase the Japanese football level has also promoted the flow of the game using the professional football medium. Another objective of Japanese league is to foster the growth of the sporting culture in Japan. Three of the Japanese football league teams successfully reached to the pitch on 20th April 2016 in the fifth day of the AFC champion’s league group stage. The team FC Tokyo was defeated in a 3-0 loss to Jeonbuk Motors, the K- League champions. The former midfielder of Cerezo Osaka, Kim Bo-Kyung along with Ko Mu-yeol managed to score the opener and also helped Lee Jae-sung on the second goal by making it 3-0 in the stoppage time. Tokyo is now in need of away victory at Binh Duong of Vietnam so as to achieve the round of 16. As far as the Urawa Reds are concerned, they made their appearance in the tournament after eight years with a draw at Sydney which remains the highest in the group. The results in numbers have eliminated Guangzhou, the current champions from progressing in order to ensure that there is an entry of the new Asian member at the FIFA club world cup this year. Sanfrecce Hiroshima has joined Gamba Osaka in the exclusion pile with loss of 1-0 at Shandong Luneng. However, the defenders of the Japanese football team have surrendered a goal to none other than Diego Tardelli and have been assured a third place finish position in group F.
Liverpool finished the 2014-15 Premier League season in a very disappointing fashion as Brendan Rodgers and his players lost the last match of that season in what was an underwhelming match against Stoke City which saw Liverpool losing 6-1. Liverpool had to settle with the 6th spot of the Premier League in this season. Nonetheless, even with this disastrous campaign that Liverpool went through in the past edition of the Premier League, the owners of the Premier League club still decided to keep Brendan Rodgers as the manager of the English squad but the pressure is starting to build on the Northern Ireland coach as the club has spent big in this summer and Rodgers has to make a successful season with Liverpool or his time in Anfield might be running out. Liverpool has not been shy in this summer transfer window and has spent a fairly large amount of cash in signing new players with the Brazilian player Roberto Firmino who arrived to Anfield for a transfer fee of £29 million and Christian Benteke also came at a hefty price as €32 million was needed to secure the services of the Belgian forward. That’s a total of €61 million for just 2 players. With so much cash being spent, if Brendan Rodgers is not able to fulfill the expectations of the fans and of the owners of Liverpool, it’s very likely that he will be sacked from his managerial role in Anfield. Ivory Coast became the champions of Africa after defeating Ghana in the finals of the 2015 African Cup of Nations in a match that had to be decided in a penalty session. The African champions experienced going through a managerial change as HerveRenard decided to step down from coaching Ivory Coast earlier in May as he went on to take charge of the French club Lille. When HerveRenard left his managerial post in Ivory Coast, a 59 man shortlist was announced by the Football Federation of Ivory Coast as the African Nation was on the search for a new manager that could replace Renard. This shortlist was later cut down from 59 to only 5. These 5 potential managers were: Henry Kasperczak, Michel Dussuyer, Patrice Neveu, Paolo Duarte and Frederic Antonetti. With the exception of Frederic Antonetti, every other manager has already had experience taking charge of African nations.